ERGONOMICS DESIGN: Neckband in-ears headphone is designed according to ergonomics, which makes it fit perfectly to your ear and comfortable. Guaranteed to be 100% secure & stable during intense exercise such as running, climbing, riding, camping and other active sports even in a rainy day. HIGH-FIDELITY SOUND QUALITY AND STEREO EFFECT: The CVC 6.0 Noise Reduction for Communication Technology intelligently filters ambient noise and enables clearer sound during calls and listening to music. Bluetooth 4.0 + EDR APT-X Audio Decode Technology provides stereo effect, let you enjoy the live music scene. BLUETOOTH 4.0 TECHNOLOGY: Can connect to two different devices in10 meters range simultaneously. That means there is no hassle while you are exercising. Choose it, and you will enjoy real freedom with our wireless controls. 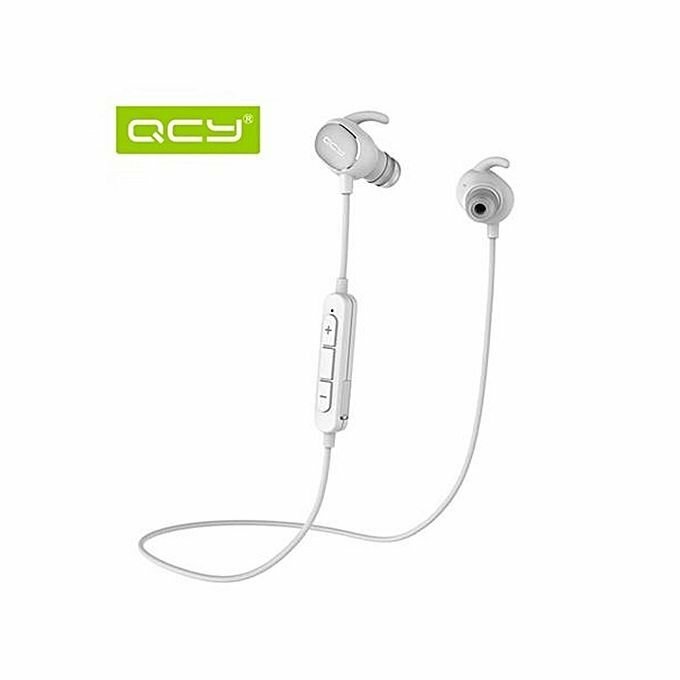 LONG SERVICE TIME: High capacity battery provides up to 6 hours continuous audio for your favorite tunes or chatting with friends. Come with 6 Months Warranty.